Humboldt County, the power is in your hands. Last week, the Journal posted its categories for our definitive annual reader's poll, the results of which will be revealed in our asskicking Sept. 2 "Best Of" edition. Reputations are on the line. Winners will gloat. Losers will fade into obscurity... or something. To keep it Humboldty fresh, several categories have been added this year, but none with the intrigue and prestige of the category we'll discuss today. I don't have to tell you that this one will be a slobber-knocker. With Lost Coast, Eel River, Six Rivers, Mad River and Redwood Curtain brewing companies all working hard to keep our counties' collective whistles wet, HumCo has enough homegrown brew flowing in it to satiate even the rowdiest NCJ editorial meeting. No small feat. With as much hard work as our local brewers put in, you know that any of them would love one of their concoctions to take home the Best Of honor. So, for the love, log on and vote (www.northcoastjournal.com/bestof2010). You might be saying to yourself, "But I haven't tried all the local beers. Gee golly, I don't want to judge unfairly." Well, we couldn't have planned this better. This Saturday, Aug. 28, you have the opportunity to become a certified "Humboldt Beer Connoisseur" when Rohner Park in sunny Fortuna hosts the annual Hops in Humboldt beer-stravaganza from noon to 6 p.m. Over 40 breweries will be in attendance, including all of our proud local brew-crews, to (let's be honest) get you drunk. Tickets are only $30 in advance. $40 at the gate. One price. Unlimited samples. Yup. Don't blow this. In addition to beer, great local foods, beer, beverage-themed games, beer, live music all day, vendor booths and (did we mention) beer, the event will feature its own sudsy honors: The Hops Awards. Throughout the day, "hopsters" have the opportunity to purchase "Tasters Choice Tokens," which are then used to vote on attender's fave brew. Choose wisely. We mentioned live music. Let's get specific. Boomsauii rocks it electro-acoustic from noon-12:45 p.m. Infamous Irish-style punkers The Smashed Glass play from 1:30-2:15. The Grass Band plays funk (not bluegrass) from 3-3:45, and finally the rowdy trucker hat hip hop group Moonshine Bandits plays beer drinkin' music from 4:30-5:15. Plus, the official MC of Hops in Humboldt, DJ Stir Fry Willie, plays between sets all day. For you NorHummers planning on invading Fortuna for the day, listen up. In an attempt to promote responsible drinking, remember that a ride from Eureka/Arcata on the Redwood Transit System is only $2.50. The last RTS bus leaves directly from the event at 5:10 p.m. The day of the event, you should write that on your wrist. Okay? Cool. Oh, yeah. In case your wondering, I'll tell you straight up where my "Best Of" vote is going. If a beer has a fruit in its title, I'll drink it. Tops on my list? I love me some Tangerine Wheat. Smooth. Fruity. Delicious. Male friends of mine, in an attempt to prove what badass drinkers they are, will make light of my fruity beer affinity by calling them "girl beers." If this ever happens to you, do what I do. 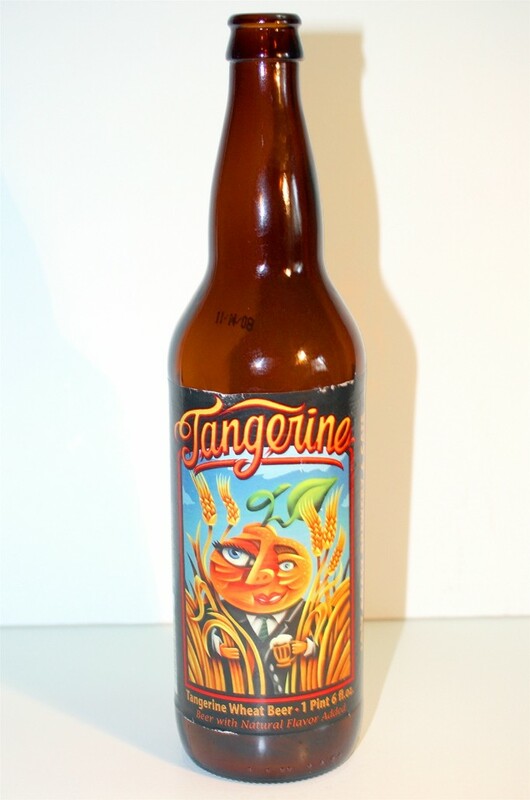 Savor the last sip of your Tangerine Wheat, then, calmly, break the bottle over your own head. Silences a room, right quick. For more info on Hops in Humboldt, check out www.hopsinhumboldt.com. Beer me.